These pictures are from a remarkable new theatre production John was lucky enough to see on its opening night in Hereford in mid-February. It tells a story of a woman with dementia and her heart-warming relationship with her grandson. He is a tearaway outside the home, but an incredibly tender, thoughtful and playful companion for his gran. It is based on a real relationship. 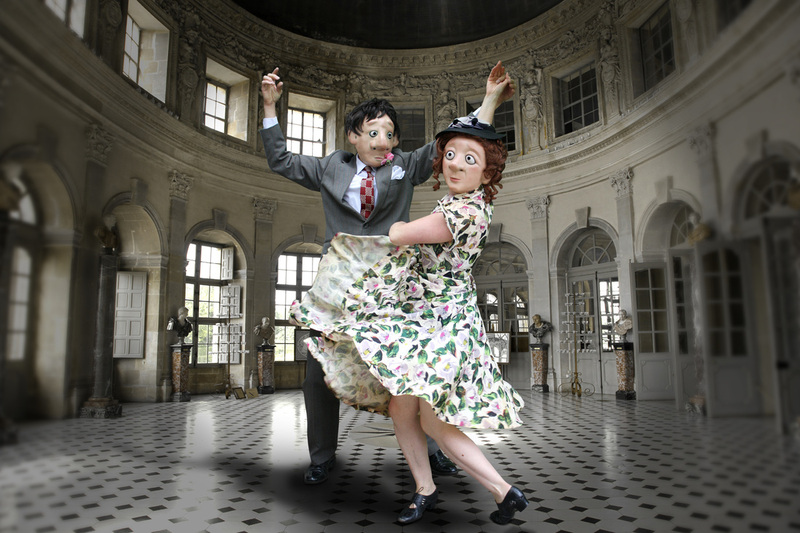 The story is told through a blend of music, mime, masks and social dance. There are no words at all. 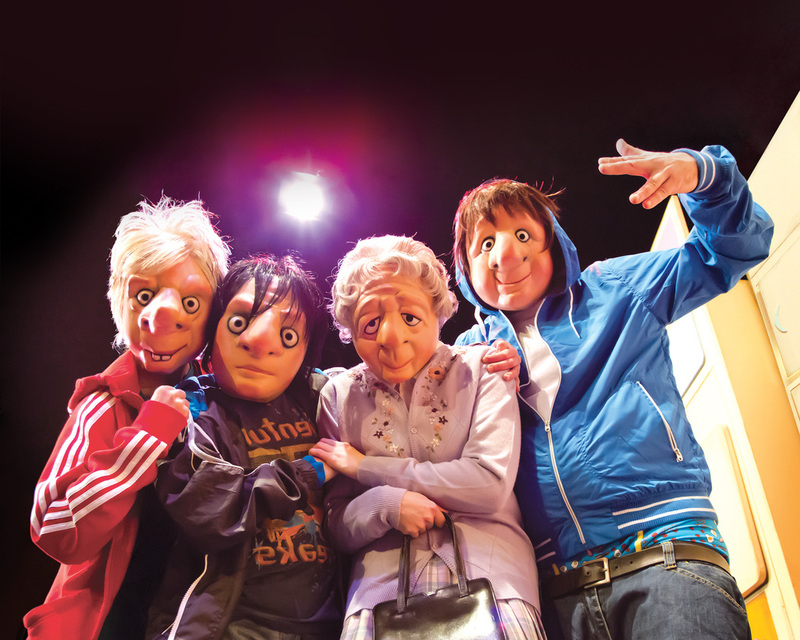 Everyone can learn so much from the subtle interactions in the play, and it is bursting with humour and energy. Finding Joy is now on tour around England and Wales until the end of July. It will tour again next year before embarking on a European leg. "I don't suffer from dementia. In fact I've made it a point in my life never to suffer from anything." 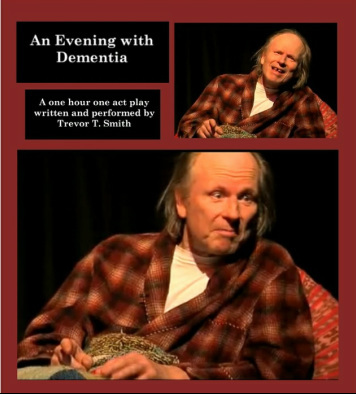 During the Edinburgh Festival Fringe, we got a chance to see Trevor T. Smith perform his excellent one-man show, in which he plays an elderly actor who has dementia and is living in a care home. It is funny, painful and true - definitely one to see if you get a chance. Find out more at the show's website. We absolutely loved this show. Produced by Horse + Bamboo and using puppetry, song, projection and the use of masks, it tells the story of Angus McPhee from South Uist who spent 50 years in a psychiatric hospital in the Highlands of Scotland. He never spoke during that time but expressed himself by weaving garments made of grass. It is a remarkable story and beautifully told. Find out where you can see it here.